Three Canadian companies have been caught selling knock-off Louis Vuitton and Burberry bags and are being sued by the fashion houses for up to $3 million in damages for trademark and copyright infringement. According to the lawyer representing both Louis Vuitton and Burberry this could be the largest anti-counterfeiting judgment in Canadian history. 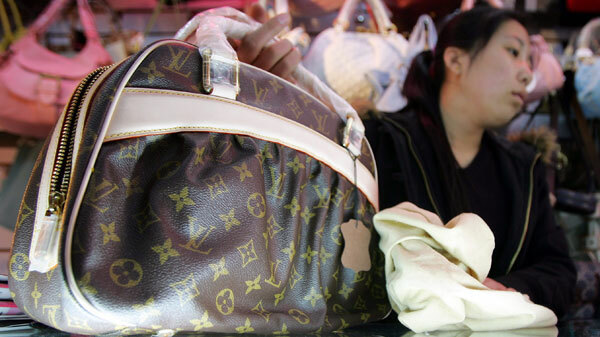 A shop assistant displays a fake Louis Vuitton bag at a store in Beijing Wednesday April 19, 2006. (AP / Greg Baker) CTV News website. Reading this article and speaking to friends has really gotten me thinking about knockoffs in the context of this experiment. I myself have never bought a fake bag but I almost unknowingly bought a pair of fake Louboutins once on eBay (I know, I know, I should have known better. $200 for “new” Louboutins should have struck me as sketchy from the get-go, I did cancel the transaction once I figured it out though!). I have friends who have bought fake Prada wallets, Burberry bags etc. One of my friends even had a coworker who would go to New York periodically to buy knockoff bags and would then set up shop in their office selling them to other employees! So how do I feel about knockoffs? Well, it’s a tricky and complicated subject. I personally do not agree with purchasing blatantly fake products. Not only are you not compensating those who made the originals, but knockoffs can be of very low quality and can even come with health risks. The CTV article mentioned how knockoffs are unregulated and that especially those coming from countries like China don’t follow the same consumer product safety standards as legitimate goods. For example, fake perfumes have been found to contain high urine (seriously? yuck!!!) and alcohol levels and some clothing items have been found to contain toxic dyes and flammable materials. Just reading about some of this stuff has definitely made me rethink ordering that bag from China for the Week 4 challenge! The other side of the issue deals with the accessibility of fashion to the masses. Unfortunately, not everyone can afford a $1000 bag or pair of shoes and can you really categorize something as “luxury” if everyone can afford it? 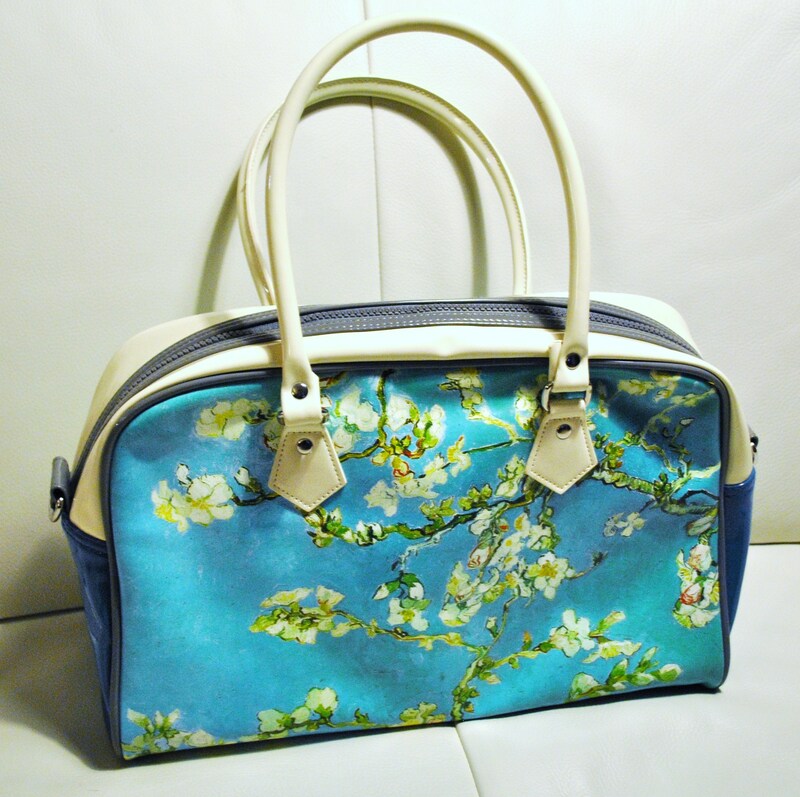 Part of the whimsy of fashion, especially high fashion, is related to the exclusivity of products. Does this mean that the ordinary Jane or Joe is not allowed to follow trends or that they just have to “save their pennies” until they can buy the real thing? Of course everyone should be able to follow whatever trends they want but I think that it has to be done in a way that is respectful to those who come up with designs in the first place. Accomplishing this can be tricky though. Every season stores come out with their own versions of the popular trends. You may not be able to purchase a designer dress made of the finest silk or a hand crafted bag but you can usually find a similar product inspired by the original. When does a product cross the line from being inspired by a trend to being a complete forgery though? Some products out there like those mentioned in the CTV article are of course obvious fakes but what about products sold by stores or websites like ASOS that capitalize on recreating the most popular designer styles out there? ASOS has received some flak for its very-faithful-to-the-original recreations but they are constructing the items themselves from higher quality materials at least. I think that sometimes it’s a tough call. Obviously this isn’t the same as buying a real or knockoff Van Gogh painting. It’s more a way of enjoying something that I could never possibly afford in a respectful way. That’s what I hope to accomplish with this experiment. I’d love to hear your opinions though. How do you feel about fakes and knockoffs?